It’s our shipyard period at the moment and we are temporarily based in La Ciotat. It’s been a long time since I was last here and I had forgotten just how pretty it is. 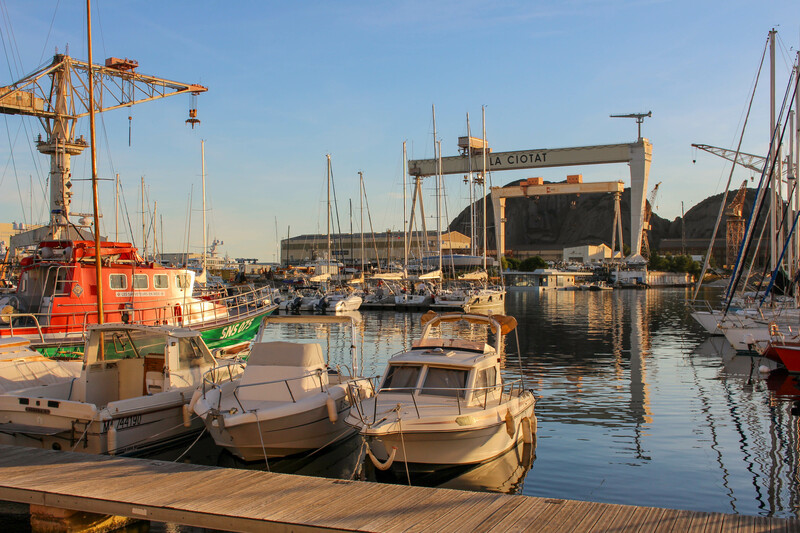 La Ciotat is located between Toulon and Marseilles in southern France and is home to many bars and restaurants. On weekends the port is abuzz with locals and yacht crew dining, drinking and meandering around the market. The port has a lovely atmosphere and the variety of cuisine on offer in this small area is vast. From French and Asian, to Italian and Mexican there is something for everyone. La Ciotat was put on the map in 1895 for being one of the first places to show a motion picture and it is also the birth place of a traditional French game called Pétanque. Pétanque was invented by a man named Jules Le Noir in 1907. It’s a form of boules generally played outside on hard dirt or gravel and it’s not unusual to see people playing in the afternoons in French towns and villages. I love seeing a group of older folk chatting on nearby benches, waiting for their turn whilst sharing a nice bottle of rosé as their shadows lengthen and evening draws in. 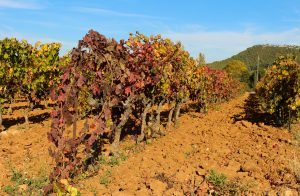 It’s a beautiful time of year to be in the region of Provence and we are so fortunate to be just a stone’s throw away from the stunning scenery of Bandol and all its beauty. The colourful landscapes are mesmerising and I have already witnessed the effects of the changing seasons as the vineyard’s hues transformed from green and yellow to orange and red. It’s easy to see how so many famous artists and writers were inspired by the beauty of this region. Bandol is famous for its wine and the majority of its appellation output are its red wines which are distinctive due to their high proportion of a grape variety called Mourvèdre. Mourvèdre grapes can be difficult to grow as they need warm weather but given that Bandol profits from approximately 3000 hours of sun per year, the climate is ideal. Mourvèdre grapes ripen very late in the season and tend to produce tannic wines, high in alcohol. 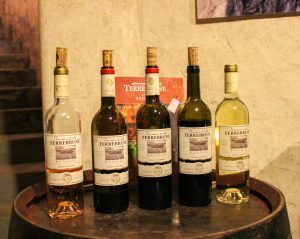 My current favorite tipple is from Domain Pieracci, I can’t get enough of it! Last year a few friends and I did a couple of wine tours with the lovely Richard from Bandol and Riviera Wine Tours (www.bandolwinetours.com). 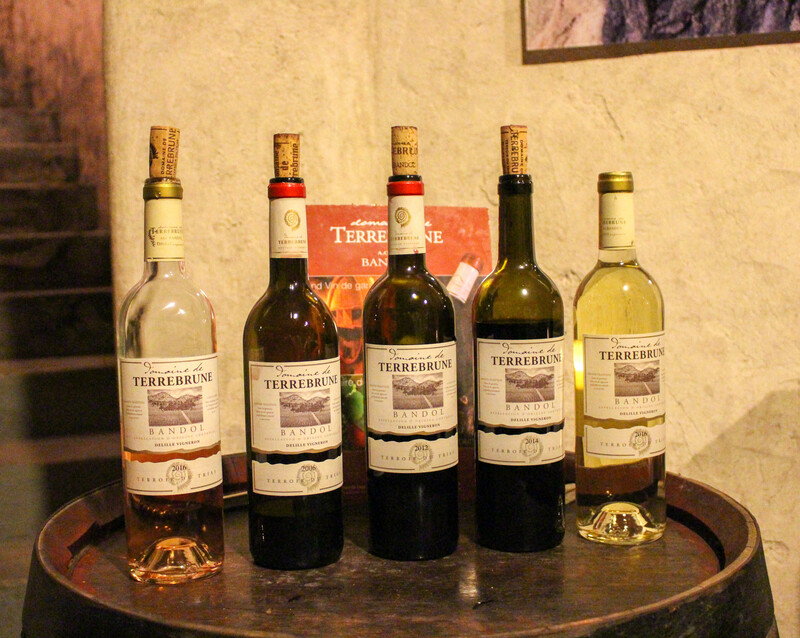 He took us to some very interesting and unique vineyards but I think the most memorable one had to be Chateau Terrebrune. I revisited Terrebrune with a couple of crewmembers recently. They make some amazing wines but I have to say their rosé is probably my favorite. Unlike the rosé we are accustomed to drinking on the beaches along the Cote D’Azur, it should be served cold but not chilled and never, ever with ice. The ideal serving temperature for this wine is around 12C. I picked up a bottle while we were there as a treat to myself over Christmas. Nic and I spent a few days in Venice earlier this month. I have never been anywhere like Venice and I can’t imagine I will ever visit anywhere like it again. We stayed in a guesthouse, not far from San Marco called Hotel Casa Nicolò Priuli. Our room had a canal view and was typically Venetian with its glass chandeliers and antique furniture. We were lucky enough to experience Venice’s “aqcua alta” (high water) which was quite exciting. Acqua alta is caused by events such as a vey high tide, low atmospheric pressure, wind forcing water into the Venetian lagoon or in our case when there is heavy rain. It was really strange to see the canals over-flowing. On the day that it did rain, I decided to invest in a disposable poncho and some temporary plastic rain boots which fitted snuggly over the shoes I had on. I looked a bit silly but I was in good company as most tourists had had the same idea. Nic and I spent most of our holiday walking the labyrinth that is Venice. We strolled from bàcaro to bàcaro (bar to bar) sampling cicchetti as we went along. Cicchetti is a Venetian type of tapas dish and most bàcari display theirs in glass cabinets on their bars. They are small dishes served hot or cold such as mini sandwiches, cured meat, seafood and marinated vegetables. The idea is you order one or two with your drink or have a selection served on a platter to share. We ate arancini, ricotta with walnut sauce on bread, prosciutto, salt cod, croquettes and marinated artichokes (to name a few) washed down with an ice cold beer or a Spritz. Aperol, Select, Campari or Cynar? 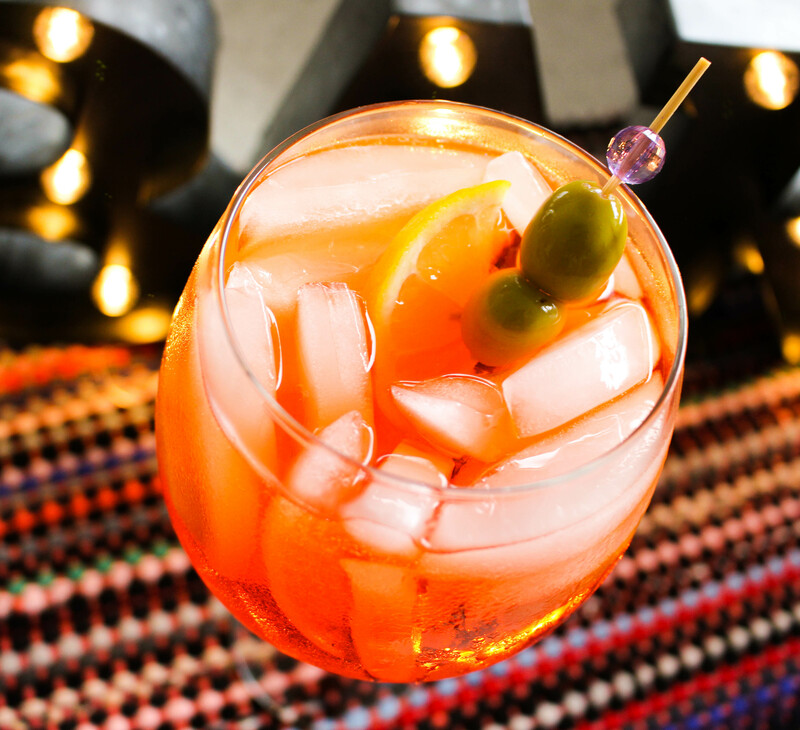 Aperol is the most common apéritif when making a Spritz. It is fluorescent orange in colour and is very bitter to taste on its own. Campari is more bitter than Aperol and has almost twice the alcohol content. Select is Venice’s own aperitif, it’s red in colour, more bitter than Aperol and is more herbal in flavour. Cynar is an Italian artichoke based apéritif, brown in colour and very herbal. Prosecco, wine or vino spumante (fizzy wine)? Our bar tender explained to me that any spritz should be made with Prosecco D.O.C (Denominazione di origine controllata). Some bar tenders make a Spritz with wine and then soda to add the fizz and some use vino spumante but these additions tend to make a Spritz taste too sweet. Here in France a bartender will finish a Spritz with a dash of Perrier or eau gazeuse (carbonated water) but our bar tender in Venice argued unless you use seltzer (which he had on tap) you will only contribute to the sweetness of the Spritz. He said soda and carbonated water have a sweet note which when given a taste test of the seltzer to compare with soda was notably different. Always finish a Venetian Spritz with a slice of lemon and a green olive. I’ll leave you with a few cicchetti recipes to try at home. Chicchetti are really handy if you’re hosting a drinks party over Christmas and the New Year as they can be made in advance giving you more time to mix up the perfect Spritz. Cheers!